Image Line : Belgium Beer, Chocolate and DAW Software – a winning combination! Scott Fisher was trained as a sensory psychologist and after a couple of academic positions lucked onto a career in R&D. Scott is Communications and Marketing Manager at Image-Line Software, an innovative company that designs music/audio production, DJ & web development software. Scott feels that the company’s business and product development model is how smart, flexible, companies will organize themselves in an increasingly capricious marketplace. That is, they have a globally distributed workforce, many of whom work via the net from home, and tightly integrated customer relationships through social media networking and their own forums. Image-Line is a Belgian based software company, so if you thought Belgium was all Beer and Chocolates, then read on to find out what their take is on modern DAW software development. It depends on the main focus of the DAW software. In the case of FL Studio it was built around flexibility, speed and automation (almost everything can be automated in the program). FL Studio’s strength is music creation and the program reflects this ethos, attracting mainly songwriters and producers. To a large extent it’s the expectations and demands of musicians that has driven DAW software development. We hear a constant cry from the user base for “more” of everything. None of the platforms on the market, FL Studio in particular, are so complex, once you understand some workflow basics. Fortunately with YouTube and user forums help is usually just a few mouse-clicks away. We have a vibrant user community on “Looptalk”, the FL Studio forum, where customers can interact with each other, the program developers, support staff etc (who BTW are actual users/developers of the program). However, just as you can’t sit down with a clarinet or trombone and expect to produce great music on day one, so every musical tool demands some application from the user and in that respect DAW software is no different. That’s probably because audio quality is no longer a limiting or differentiating feature of DAW software. The digital signal processing (DSP) techniques necessary to maintain the highest audio quality are well documented in the literature and are not a secret that only one manufacturer knows. DSP is taught in electrical engineering and computing courses around the world and is now a well established science. What is still important is that for the best quality audio recordings you still need good analog to digital converters, mics, mic preamps and a well controlled recording environment. Fortunately professional standard audio gear is now costs around one tenth of what it did 20 years ago. You can thank the mass market for recording gear that has accompanied the rise of DAW software for that. In terms of maintaining audio quality once the signal is in FL Studio, we pay a lot of attention to the state of the art in DSP principles and do a lot of blind comparisons of algorithms. We make both objective comparisons (examining frequency spectrograph data for example) and perform blind subjective testing to determine which ones not only work well on paper, but sound the best. We also usually give the user multiple options so they can choose the right tool for the job, based on their ears and source material (traditional vs phase-linear EQ for example). We have no specific view here, only to say that we have been witnessing a paradigm shift in the music industry for the last 15 years. From studio to bedroom. From albums/CD’s to single track releases. From making a living selling music to giving it away and performing live to generate a significant income. While there will always be the need for mastering engineers, another industry of home/project-studio producers who do everything themselves has developed. Some well, some not so well. It’s useful to be clear that it all depends on what genre of music you are talking about how much or little self-mastering is likely to be attempted or the value a mastering engineer can add to the end product.And taking this a step further, do you see a market for using the DAW to actually publish material directly to the iTunes format, assuming Apple were to make is more accessible? There are already (too) many ways for musicians to publish their material, we are not sure it makes a lot of sense to render straight out of the software to some on-line shop. It’s pretty simple now to upload a track to SoundCloud or YouTube if you simply want to get your work on-line. The learning curve for someone coming into DAW seems to be getting ever steeper. Do you think it’s a good idea for companies to have a much simpler entry system for beginners? We address this by building our software in a modular way so that the basics are easy. FL Studio has a very immediate and user-friendly step-sequencer. Add onto that audio tracks and pattern-based arranging in the Playlist and we think the formula works very well. We have over 30,000 people download our demo every day, so we must have got something right there. What has made things more difficult for new users is that expectations are always increasing. The techniques required to achieve many of the sounds and effects used in popular music today are necessarily complex and take time to learn. Then we are back to our musical instrument analogy again. Practice makes perfect. There are many external controller options available to musicians, particularly in the performance sphere. It’s an area under heavy development and so things are getting better every year with respect to quality choices. On the other hand, the mouse (or touch-screen) is popular for a reason, it’s very efficient and is simply a different way of working. There are now generations of musicians who have never seen a real mixer or felt the need for any external control surface, it’s just not part of their mindset. All of the above is happening now. However, iOS (iPad, iPhone & iPod) & Android as they now exist are probably just a stop-gap technology designed around the limitations of the hardware. We expect to see the power of these devices increase to the point where you can run traditional (or next generational) operating systems on them. If I offered you the full Windows or Mac (OSX) on something the size of an iPad, would you really want just the iOS – iPad functionality Certainly the touch-screen tablet form-factor will feature heavily in the future development of music software. Multi-site real-time collaboration is one part of the future for sure. However, there are probably many more musicians who prefer to share stems or projects with collaborators and work at their own pace. It’s all about providing the tools people want to use. Well, humans have shown themselves incapable of settling on common standards for almost anything where there is fast technological development. DAW software is an area we don’t expect to see anything different. On the other hand we do have standards such as MIDI for sharing automation and notation data, the VST/AU (instrument/effect) plugin format and OSC etc. We are one of the progenitors of the software revolution, as I mentioned before we average over 30,000 downloads of the FL Studio installer every day, and so we have nothing to lament. Today musicians have more power and control over the creative process than ever, that’s a good thing. The fact is that the largest percentage of music today is being made in home and project studios and along with that has been an explosion for good quality, cost effective analog gear such as mics, mic preamps, mixers and monitor speakers. The mass market has brought mass manufacturing to the music business. Never before has there been so much quality kit available for so little. Analog hardware is still with us as far as we can see, just a different emphasis. It’s a great time to be making music.And whatever happened to getting a great bunch of musicians in a room and just laying down a great track? Do you think that DAWs get in the way of this most important creative process? Well, that sounds like you mean the traditional band? That will always happen and we don’t see them stopping any time soon. DAW software is perfect for capturing the sessions, but was the studio recording process ever simple? If you have member dedicated to driving the DAW software we don’t see anything but upsides in that scenario. Well by now we expected to see flying cars and robots doing the dishes. Sadly these predictions far exceeded the reality. We expect it’s the hardware that will drive the most innovations, increasing power, changes in form factors and connectivity will open up opportunities for all sorts of innovative applications and features. Just what these are, who knows. All we can do is maintain a team of dedicated and creative software developers and keep them in touch with users, the market and emerging technologies. What happens next is anyone’s guess, but whatever it is we will be working on it I am sure. Many thanks to Scott for his insightful views on the current and future trends in DAW software design. 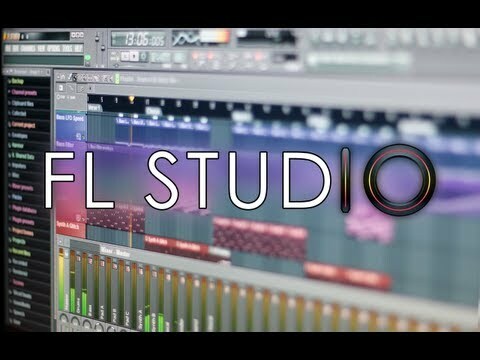 You can find out more about Image Line and the FL Studio at www.image-line.com and there’s a handy video below setting out the latest features of this DAW system.